Chest pain is often labeled as angina. 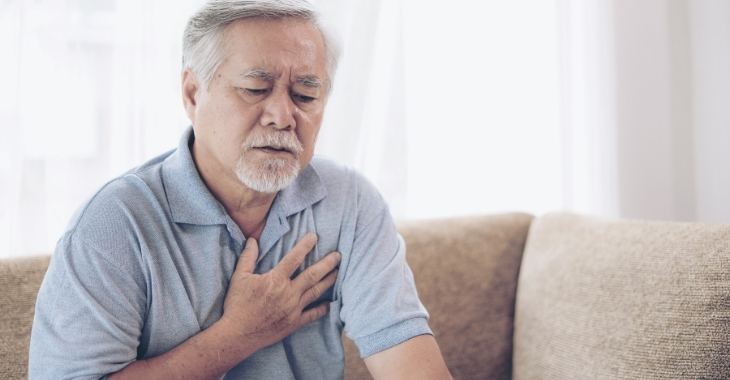 While not a separate disease, angina is a condition that can alert you to vascular or heart disease that can lead to serious health problems. There are different types of angina and each variety can indicate different health issues. Here are the four main types of angina and what these types can mean to your health. When you feel chest pain at specific intervals, like when exercising or during exertion, this is referred to as stable angina. It is predictable and has certain triggers. The discomfort can spread through the chest, arms and back, similar to heartburn. Nitroglycerin and rest can relieve the symptoms. When sudden, severe chest pains occur, even without any trigger, this is unstable angina and a serious condition. This is usually caused by blockages in the arteries and can be signs of an impending heart attack. Spasms in the coronary arteries can cause severe pain, with longer episodes. Microvascular angina can be an indication of coronary microvascular disease, impacting the smaller coronary blood vessels. Variant angina is also caused by spasms in the coronary arteries like microvascular angina. These attacks using occur during rest in the middle of the night or early morning and can be related to triggers like stress, cold temperatures and drugs use. Any type of angina should be reported to your doctor. It can be an indicator of coronary or artery disease and a precursor to serious cardiovascular problems. Your doctor may refer you to a specialist like a vascular surgeon to receive monitoring and treatment for your angina to reduce symptoms and treat the underlying cause of your chest pain.